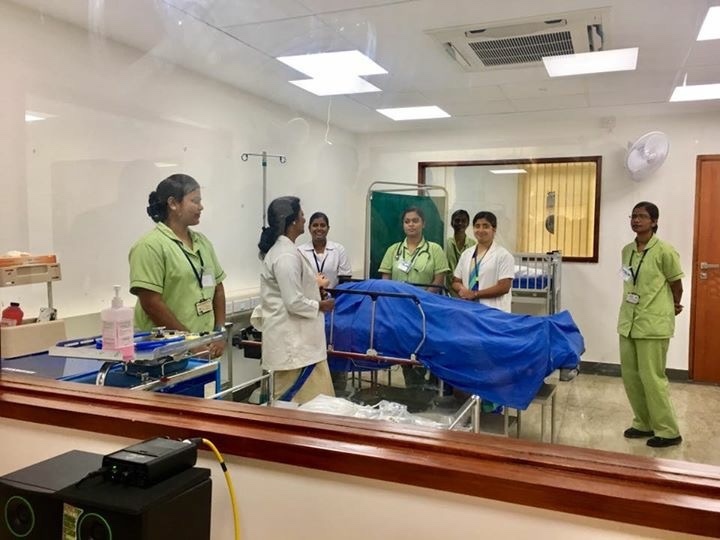 At the new Simulation Education and Research Centre for Nursing Excellence in Bangalore Baptist Hospital (BBH) in Bengaluru, India, nursing students from around the country are getting their first experience with the program’s CAE Juno simulation manikin. The students monitor the simulated patient’s cardiac status, administer IV medication, and manage fluid intake and output, as a facilitator oversees their exam through her tablet. Soon, the patient is stable. Within moments, the manikin is prepped again for the next group of students. This time, after the facilitator makes a subtle change on her tablet, Juno responds quite differently to the IV: vitals drop, arrhythmia ensues. The students must figure out how to respond, execute their decision, and then see what happens next. This Juno manikin, which arrived in January of 2018, is the first of its kind in India, and its presence here will have far-reaching effects. In addition to its role in the training of 400 future nurses annually at BBH, this Juno will also be part of the hospital’s national simulation workshops to disseminate best practices in nursing simulation education throughout India. And at the same time, this manikin is at the heart of a first-of-its-kind study to determine the effects of simulation training in medicine—research that may help shape medical training worldwide. Juno came to Bengaluru through the hospital’s longstanding relationship with Baylor University. The two institutions’ partnership began in the 1970s, when Baylor medical student missionaries were stationed at BBH, leading to decades of faculty collaboration and student-exchange programs. 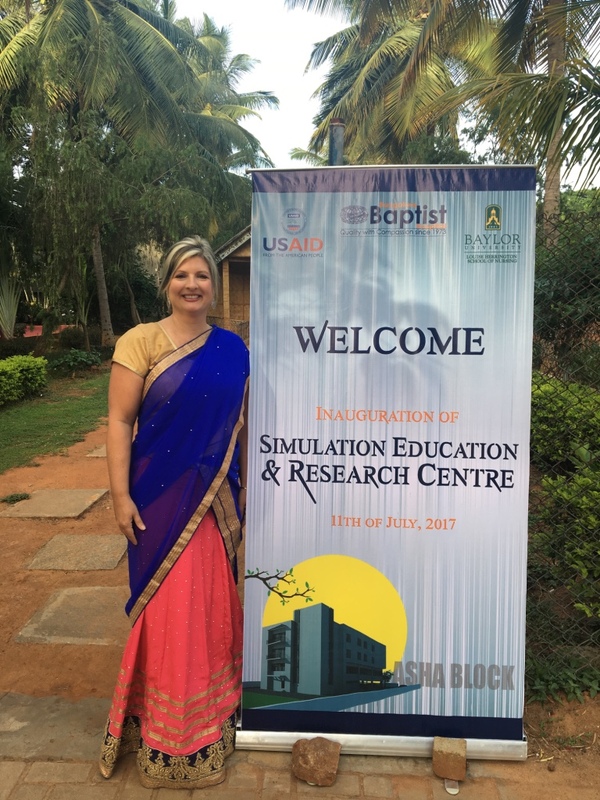 Six years ago, Baylor and BBH faculty began working together on simulation training, which, in 2017, led to a $652,800 grant from the U.S. Agency for International Development American Schools and Hospitals Abroad to build Bangalore Baptist Hospital’s simulation center. Another longtime Baylor partner, Samaritan Outreach Medical Ministries, purchased the Juno system (using a grant funded by the Butterfield Foundation) and donated it to BBH. Shelby Garner, an assistant professor at Baylor’s Louise Herrington School of Nursing, underwent training on Juno from CAE Healthcare at no cost. Garner has been working closely with the BBH faculty to embed the Juno technology into the school’s curriculum. Among its clinical benefits, Juno technology offers clean, easy priming of its fluid-management systems, “which, for nursing, is a big part of what we do,” says Garner. 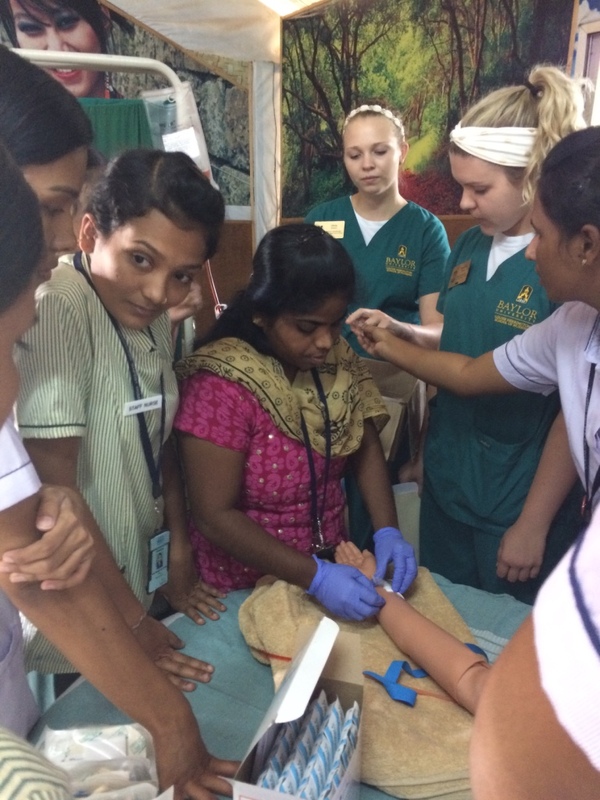 “Juno allows the facilitator to spend more time actually doing a simulation and building the students’ clinical decision-making skills, rather than having to spend so much time getting the manikin ready and then cleaning up afterwards,” she says. Up until now, the effects of this kind of simulation training, as compared to training without simulators, have been merely anecdotal. Now, India’s first Juno will be a part of demonstrable scientific research. 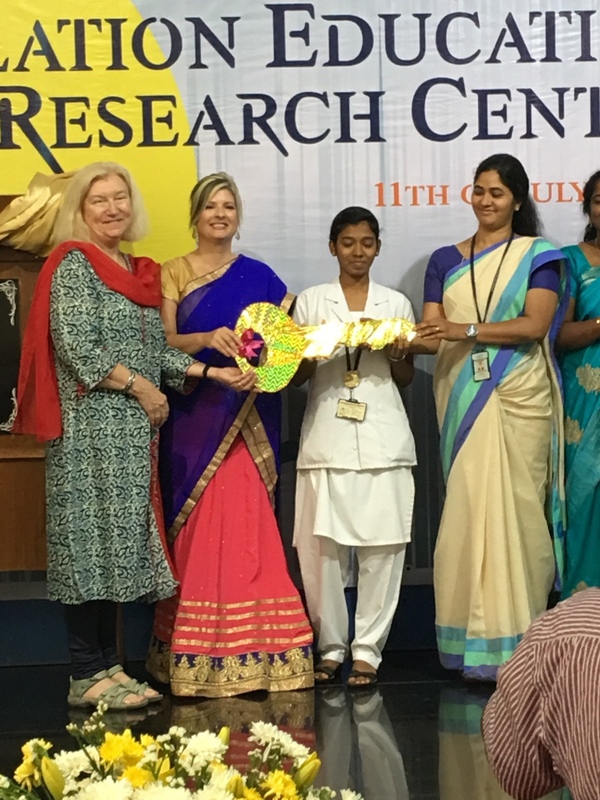 As part of her work with Juno and the BBH simulation facility, Garner has been awarded a 2016-2018 Fulbright-Nehru Research Flex Grant to study the impact of simulation in nursing education on teaching and learning outcomes in India. Garner’s study will focus on students’ confidence as measured through surveys administered to students before and after their participation in simulation scenarios. BBH faculty, too, will be surveyed to measure their assessment of the students’ competency. This research will be among the first definitive scientific statements on the impact of simulation technology in medical training settings.